Today Glastonbury Festival have revealed their awaited first lineup poster for their 2019 edition this summer. Topping the bill are The Killers and The Cure, who join Stormzy as the final headliners. 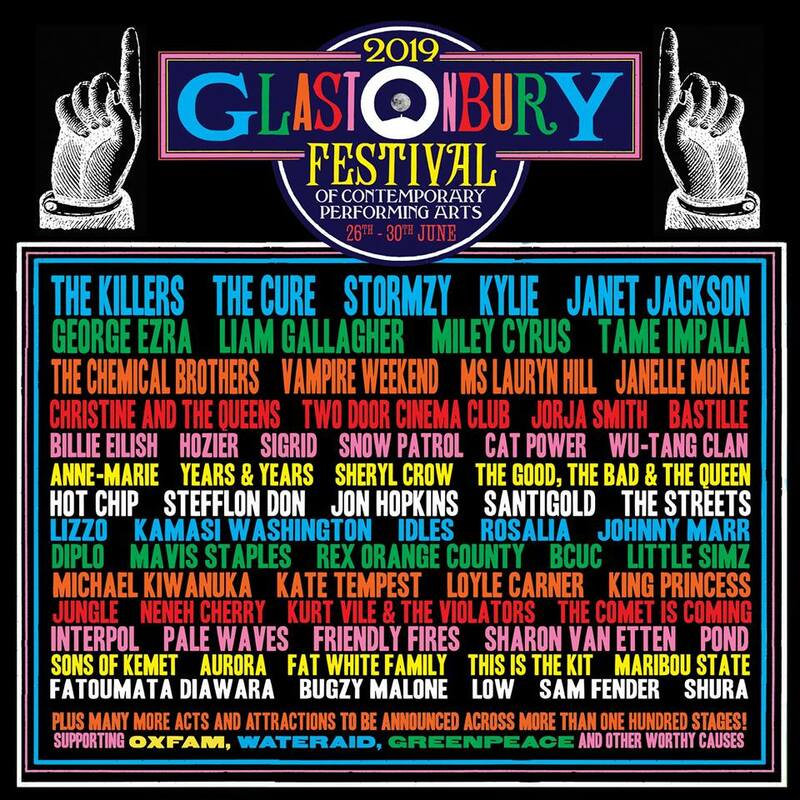 Also included are Tame Impala, Liam Gallagher, Christine and the Queens, Janelle Monae, as well as Glasto debuts from the likes of Miley Cyrus, Janet Jackson and Ms Lauryn Hill. Further down the poster are an even broader stroke of artists, from Wu-Tang Clan and Fat White Family to Sheryl Crow and Sigrid. 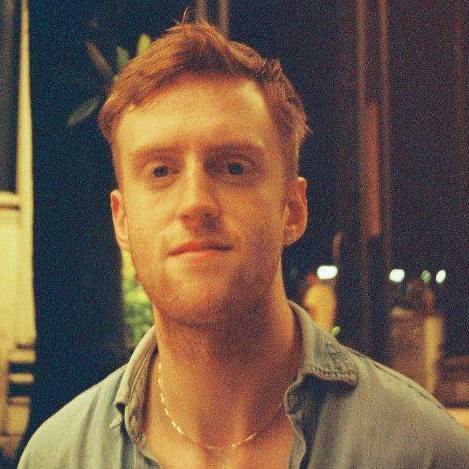 There is also a strong presence of the UK urban music scene, including Jorja Smith, Kate Tempest, Loyle Carner, Little Simz, Bugzy Malone, and London jazz supergroup The Comet Is Coming. The new additions also join Kylie Minogue, who was announced back in December as this year's 'legend' performer. The revered Sunday evening slot will mark the first Glastonbury performance for the Australian singer, who had to cancel her performance back in 2005 due to a cancer diagnosis. Her performance will precede a performance from new-wave icons The Cure, who will close the festival after fellow headline sets from Stormzy on the Friday and The Killers on the Saturday. Glastonbury takes place at Worthy Farm, Somerset from 26-30 June. Join our Mailing List to keep up to date with everything Glasto.